An essential guide to the changing role of company boards and of individual directors. ● Corporate governance is growing and future trends demand the attention of business owners. ● Company boards need greater agility and more diverse members to survive the rapid change of business. 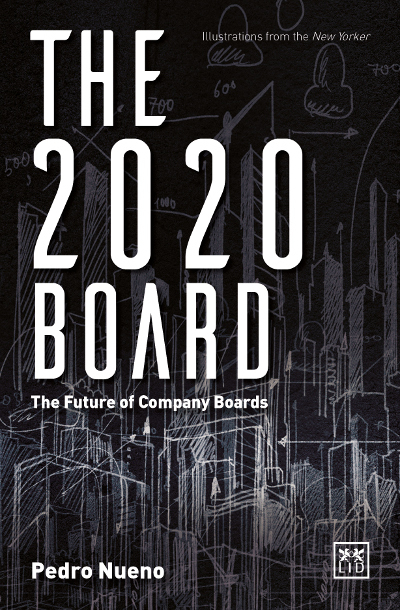 ● This book offers an insight into the future of company boards. ● The author has been a member of many company boards and has used his experiences to write this book. You may well be reading this at work. Look around you I am sure you will agree your workplace could be significantly better. Do you tolerate a mediocre, uninspiring and dysfunctional environment, because that s the way it s always been? It doesn t have to be. Everyone deserves a fantastic workplace a positive environment in which to live, learn, grow, share and contribute. Yet it need not be difficult to create if you follow this simple and intuitive framework. An Elemental Workplace is a standard that everyone can attain, not an elite pipedream for the privileged few. This book is intended for all, whether managing a property portfolio or a project, managing people, owning or running a business, or just taking an interest in the workplace to which they are treated, or subject and want to get something done about it. Free of corporate bullsh*t, buzzwords and excuses for inaction, it offers a practical and accessible approach that will stand the test of time. It is sharp, funny, and gets to the point... your workplace can be fantastic. What makes the super rich tick? Is there a specific mindset that sets ultra-high net worth individuals apart from the rest of us? Are they meticulous planners - or is their wealth an unintended by-product of their entrepreneurial activities? Is it nature or nurture that sets them on the path to great financial success? This book represents one of the most comprehensive modern-day studies of the super rich. Based on interviews with members of the financial elite, and rigorous academic analysis, this empirical study investigates the link between personality traits and the creation of enormous wealth. In short, the book provides a fascinating insight into the world of the super rich - and how they think, behave and make their fortunes. This book is about icons – exceptional organizations (orchestras, restaurants, sports teams or companies) with an aspiration to make or do something special, and to go on doing so, year in, year out for decades. This is what gives these organizations their undeniably iconic status. By selecting 14 iconic organizations (including ElBulli, McKinsey, Royal Concertgebouw Orchestra, Procter & Gamble, the All Blacks) and researching what characteristics make them different from others, the authors discovered a “competency spiral” which these organizations exhibit in their success. Attracting and retaining the right people; forging individuals into a team; and achieving outstanding results, time after time, through continuous improvement and adjustment – these are the key competencies required to achieve iconic status. In this enlightening and engaging book, Andrew Wallas views the company from a metaphysical perspective to provide a new approach to transforming the organization. Business Alchemy focuses on the inner dynamics and energy flow within the organization itself, seeing where there is visible and hidden contradiction working against the aims of the company. It is by taking a deeper look inside of your company (instead of focusing on the outer machinations of your business), and by bringing these (often unconscious) blocks to light, that energy is released and the company is then free to move forward, fully aligned with its stated objectives and goals. This is a unique perspective on how companies can evolve and grow naturally and successfully. The world is changing. The world has changed already. But have you changed with it? The change in technology in the last century has driven a massive development in organizations and in society. The so-called Fourth Industrial Revolution demands new approaches to leaders and to leadership. A paradigm shift is emerging, putting engagement, relations, inclusion, freedom, and engagement in the centre; both towards employees and customers. We need to be responsive in order to be relevant to employees and to customers, and in order to adapt to a changing world. We need to be The Responsive Leader. Erik Ostergaard introduces a proven model for engaging in the transformation, covering: purpose and direction, innovation, culture, organizing, and leadership.